The advancement of technology is now spreading through fashion jewelry. 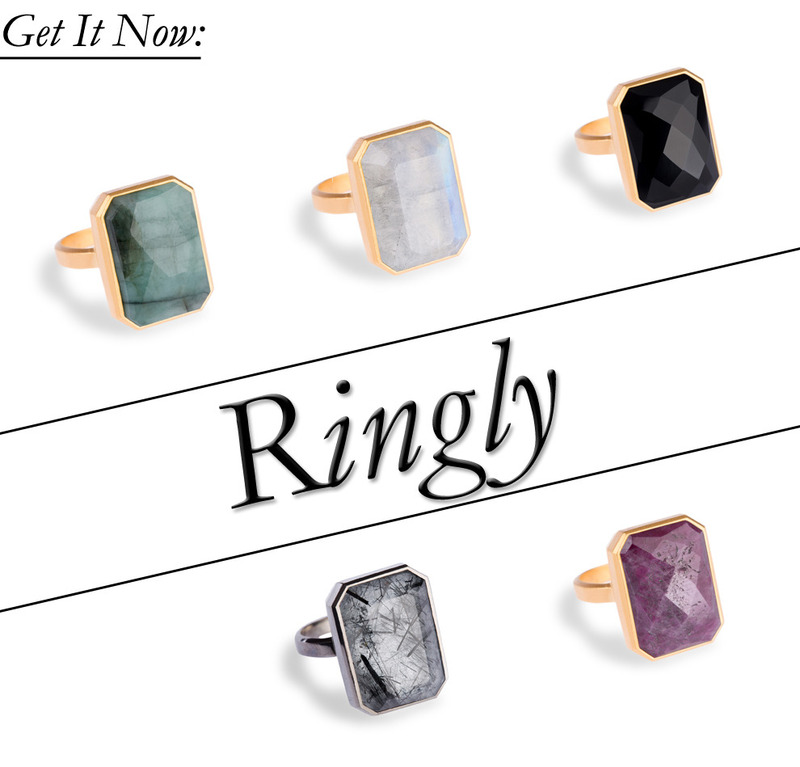 Here's comes Ringly, a collection of rings that are crafted from precious and semi-precious stones, that syncs with your phone. Yup you heard right! So when get any notifications on your phone the ring will vibrate and flashes light. I'm all for jewelry that can sync with my iPhone just as long the jewelry is quality made and doesn't look gimmicky. The brand Ringly honed in on a great market strategy. This type of synchronization between phone and accessories can spread through different jewelry categories such as necklaces, earrings, etc. I would love to hear your thoughts. Would you buy jewelry that connects to your phone?